Short Pump, Virginia is a dynamic, thriving community of about 25,000 residents in Richmond's Far West End. Short Pump owes its name to a short-handled pump that was beneath the porch of a tavern. Short Pump can trace some of its early growth to the fact that it was along a popular route from Richmond to the Blue Ridge Mountains. Some of the giants of colonial and early American history passed through the area, including Thomas Jefferson, Earl Cornwallis, and Stonewall Jackson. The Short Pump Town Center was opened in 2003. It is a 1.2 million sq-ft open air shopping mall that hosts major anchor stores and innumerable boutique shops and other stores. There's also an expansive food court and about a dozen well-known restaurants like Applebee's, Maggianos, and The Cheesecake Factory. Those that invest in Short Pump real estate enjoy their proximity to this mall as well as many other shopping areas.The discriminating Short Pump home buyer may want to explore the upscale neighborhood of Grey Oaks. The community has its own pool and tennis courts. Fox Hall is another neighborhood with more expensive Short Pump homes for sale. Barrington is a planned community with its own community lake and dock. Pine Run will appeal to those more interested in large Short Pump properties with mature landscaping. For those interested in a more secluded setting for Short Pump homes, the Barclay area may be ideal. 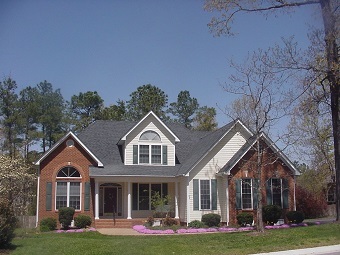 There are many newer homes for sale in Short Pump in the master planned community of Twin Hickory. This development has about 1,400 homes thus far. The real estate offered here is quite varied. 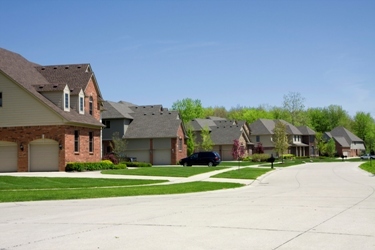 Townhomes, low-maintenance homes, and large single-family homes are all available here. The community is ideally located near schools, the Short Pump Mall, and Broad Street shops. Those that invest in Twin Hickory homes for sale in Short Pump enjoy numerous amenities, including pools, parks, tennis courts, and a comprehensive network of trails. Those that purchase real estate in Short Pump can enjoy the largest park in the state, Pocahontas State Park. It offers almost 8,000 acres of forested land. The amenities are more varied than those found at most state parks. For example, horse lovers can enjoy 10 miles of Bridle trails. Single-track trails for mountain bikers are rated from "easy" to "expert." The Pocahontas Premieres! concert series is held in the summer at the 4,000 seat Heritage Amphitheater. Bicyclists can experience a five-mile trail that circles Beaver Lake. Water sports enthusiasts can enjoy the 1,700-acre Swift Creek Reservoir. The reservoir was creates in the mid-60s to add to the drinking ware supply for the Richmond area. Today, area families can enjoy kayaking, canoeing, fishing, and swimming at the Swift Creek Reservoir. Those that invest in Short Pump VA real estate can enjoy a wealth of activities that are available throughout the greater Richmond area. Nearby Richmond International Raceway hosts numerous important race events. There are stretches of the James River that offer the avid kayaker Class IV rapids. Touring the state capitol is always enjoyable. Short Pump is one of the most desirable suburbs in the Richmond area, and a popular destination for home seekers. Before you start your search, call Premier Residential agent Phillip Hoffman, 804-794-2662. He is an experienced pro who knows the Richmond market and will find the best deals to put you in your dream home in Short Pump!